TheBastard is a 1978 made-for-television drama film/mini-series. 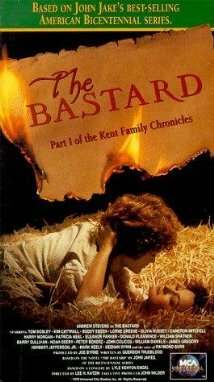 It is based on the historical novel, TheBastard, written by John Jakes, originally published in 1974. It is the first story in a series known as The Kent Family Chronicles or the American Bicentennial Series. 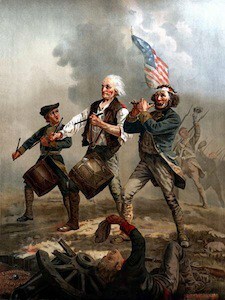 The novel mixes fictional characters with historical events or people, to tell the story of the United States of America in the time period leading up to the American Revolution. The novel was adapted into this four-hour television film in 1978. The movie was nominated for a Golden Globe Award in 1979 for Best Motion Picture Made for TV, with two Daytime Emmy Award nominations for Outstanding Achievement in Costume Design for a Drama Special and Outstanding Art Direction for a Dramatic Special. TheBastard was followed the The Rebels, second in the series, and The Seekers, third in the series. Phillipe Charboneau is the illegitimate son of an English duke. When he travels from France to England to claim his inheritance, he incurs the wrath of his father’s family and is forced to flee to America, where he becomes involved in the events leading to the American Revolution.